Since 1981. AllSportDesigns.com. 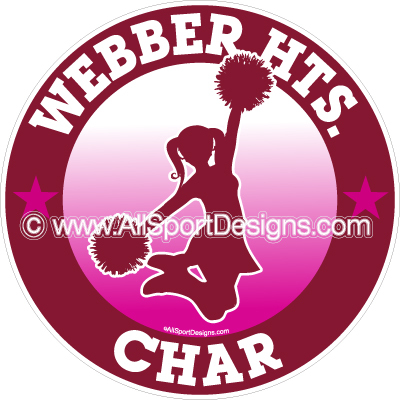 We specialize in Fundrai$ing youth sport team car decals and magnets. We also offer Wall Decals and Team Banners. No Inventory. Qty. Discounts! When identifying colors that work well together, you must first consider where the colors are going to be used. If setting up a logo, a banner, or a sign, the subject of focus needs to be identified and highlighted by color, design and font. 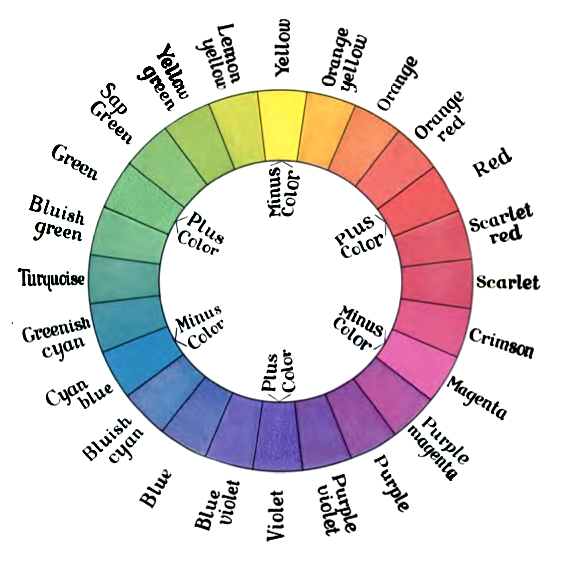 There are several categories of colors that create a “standard” set: Primary, secondary and tertiary. Primary colors are the purest of hues: red, yellow and blue. Primaries cannot be mixed from any other colors. Secondary colors are mixtures in equal amounts of primary colors. Red and yellow produce orange. Yellow and blue produce green. Blue and red produce purple. Tertiary colors are mixtures of primary and secondary colors. Yellow and green produce yellow-green. Blue and green produce blue-green. Red and orange produce red-orange. When you want something to stand out, you can use “complementary” colors. “Split-complementary”, “double split complementary” and “triadic” colors as shown on a color wheel will work well also. Complementary means that every color on the color wheel has a mate. Mates are opposites. Two colors that have nothing in common. Mixed together in equal amounts, complementary colors make a neutral gray. Those of the same color family are referred to as “analogous”. These have a “family” resemblance, but radically different as they are alike in that they all have some of the same primary colors. For example: Yellow-green, green and blue-green all have some of the primary yellow in them. The amount of color to use, the intensity and the value depends upon the purpose in mind. Whether you are making up a bouquet, a beaded bag, painting a billboard or a bedroom. All use high key and low key elements of color. You will always want to use colors that complement each other. Complementary colors go well together if a little of each is mixed with the other. Used at full strength, they tend to vibrate. All in all, the subject of focus is at the heart of most uses of color. Eye appeal is generated mostly with color and is what makes everything come alive. Used correctly, color can be the thing that brings everything together. If you need further assistance to identify colors that work together with your design or logo AllSportDesigns.com can help with our logo design services. 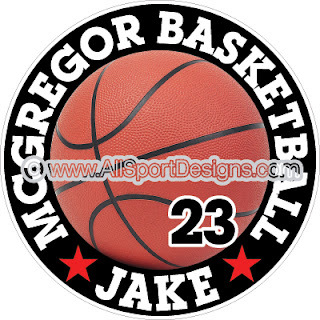 AllSportDesigns.com is your source for personalized sport decals, magnets, clings, stickers, team banners and team yard signs. We are excited to announce our new website addition GAMEDAYDECALS! http://www.gamedaydecals.com. We offer many of our designs here along with some new ones coming! You can even upload your art to purchase as car decals and magnets. Check us out for your bulk fundraising and gifts decals and magnets! We are now on Etsy! Feel free to visit us! We offer some new, some original designs for car decals, magnets and yard signs for sport teams for cheerleading car decals magnets, baseball car decals magnets, dance car decals magnets, lacrosse decals magnets, softball decals magnets and many more! We also offer our bulk decals and magnets here. ...Do you want a fundraiser that everybody can get excited about? ...Do you want an EASY Fundraiser? ...Do you want an affordable fundraiser? take care of the orders! ...Give AllSportDesigns.com a try--you'll be glad you did! Easy, fast, affordable, quick service-all with No Inventory! 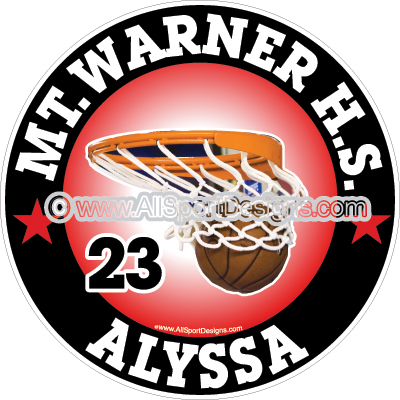 When using a 6″ decal as a fundraising product groups will sometimes price the item at $12.99. At this price point groups can make up to $7.50 in profit per item depending on the volume of decals sold. Selling 50 decals at $12.99 would yield a profit of $5.00 per unit for a total of $250.00. Selling 150 decals would yield a profit of $5.50 per unit for a total of $825.00. Selling 300 decals would yield a profit of $7.50 per unit generating $2,250.00. For more fundraising tips read Fundraising Tips for Success and to find out more about fundraising with AllSportDesigns.com visit our fundraising page. The Firebaugh High School Eagles volleyball team has plenty of fundraising experience. Each year the team fundraises to help the girls pay for things like shoes, socks and team shirts. Over time the team has used a variety of fundraising strategies to raise money, from holding car washes to selling candy bars and candles, so we asked them how selling customized products from AllSportDesigns.com compared. When using a 6″ decal as a fundraising product groups will often price the item around $11.99. At this price point groups can make up to $6.50 in profit per item depending on the volume of decals sold. Selling 50 decals at $11.99 would yield a profit of $4.00 per unit for a total of $200.00. Selling 100 decals would yield a profit of $4.50 per unit for a total of $450.00. Selling 250 decals would yield a profit of $6.50 per unit generating $1,625.00. One tip the team has for other groups who use products from AllSportDesigns.com as their fundraiser is to make sure to let people know they can personalize the colors, names and even athlete numbers. The design may look a certain way on the sample sheet but it can be customized to meet personal preferences. Start your fundraising campaign at the beginning of the season to generate maximum response. As the season draws to a close you will find interest declines, so don’t leave your fundraising to the end of the season. Have coaches hand out the order forms (coaches are best but team moms can also be recruited). Have the order form available for download from your team or school website. Send out an email blast to all interested prospects or post to a social media site. Hand out order forms at concession stands. Have your fundraiser announced at school and games. Place order forms in event or game flyers. Hand out order forms at school store or office. Display posters in hallways and prominent places where there is lots of foot traffic or areas where people wait. Advertise when and where your fundraising products can be purchased. 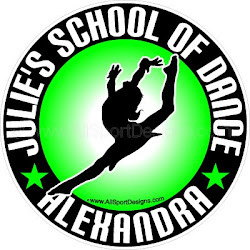 Put a sample of your decal or magnet on your promotional material (a proof can be requested from AllSportDesigns.com or simply copy a sample off our website). Put responsible people in charge of collecting and distributing orders. Last, but not least, advertise a due date. Using a deadline helps immensely as people tend to put things off otherwise. With the perfect fundraising product from AllSportDesigns.com and the strategies to run a successful campaign, it’s time to get out there and start fundraising! Thanks for making AllSportDesigns.com part of your success story. If you have fundraising tips that have worked for you share them with us in the comments area below. Some designs to see from our Dance category! Thanks for stopping by! AllSportDesigns.com has existed since 1981. We are here to assist you with your NO INVENTORY fundraising youth sport team car decals and magnets. SHOW YOUR TEAM PRIDE WHILE YOU DRIVE! We also offer SPECIAL PRICE (small inventory) One Name Decals & Magnets. Please feel free to take a look around on our website. We promise you won't be dissappointed at our designs, quality, and quick turnaround. We even offer Free Shipping for orders $50 or more! Please visit us again soon! C2011AllSportDesigns.com. Simple theme. Powered by Blogger.